For anyone who likes their Revolver, I see that GP are releasing a big 50cc version in the US, that I guess will get across the water in due course. Nice eh? That would be nice. I REALLY liked my 70" version, sadly I sold it to move back from the US and now wish I hadn't. With a ST75 it flew very well! I have just got a revolver 61-91 it is a very nice model. However landing it seems difficult to me it just does not want to sink down. Any tips? Phil, I don't remember the .60 version being excessively floaty to be honest, it's difficult to say, I assume your CG is good? I've just bought a new cowl for the .46 from the US with a view to electrification, I'll keep you posted on how it goes. In the smaller version I have an OS 55 installed and it comes in like a train. I have messed around with the C of G to try and slow things down on landings - the r/x battery started off behind the elevator and rudder servos to get the c of g on the mark but I have now moved it to a position under the spar tube as I strengthened the back end when an arrival that was too fast led to some minor damage and the need to fit a new tail wheel. I sent an enquiry to Great Planes asking them for a view on the fact the the C of G could be moved backwards by 8mm from the rear limit they set as I had picked this up in another forum. They responded by saying that if the landings were too fast I should use more throttle on finals!!!!!! I have to say that I have never had an issue with mine.... It seems to slow up nicely with no hint of a stall. I took the revolver out again with much better results. I had a little wind to land into that helped but mostly it was because I had reduced the idle speed of the motor. 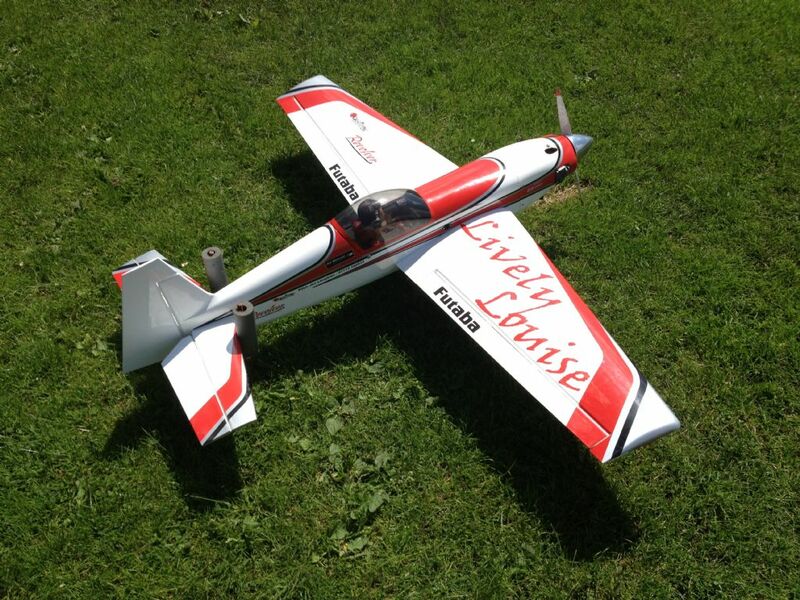 because I have a large 15*8 prop even a few exra rpm at the low end made.a big difference to this model. 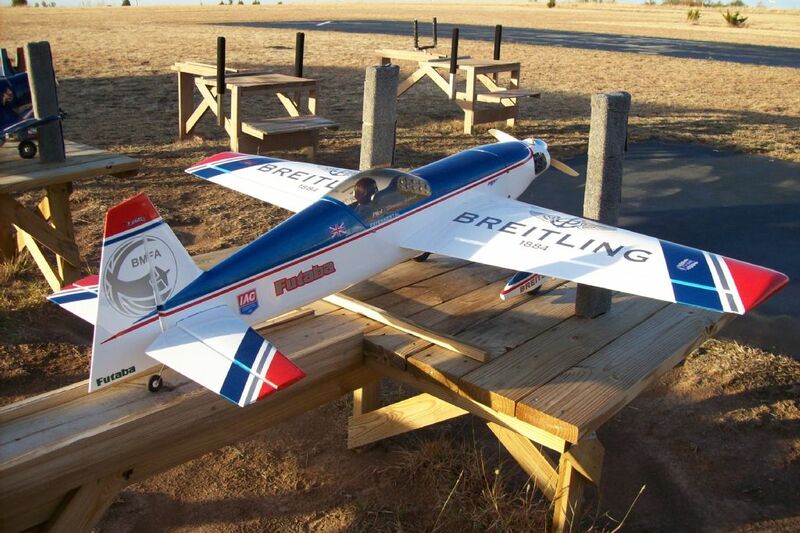 Now I am closer to having it set up properly it is a smooth flying model. David, I'm a bit disappointed to read that you had to order your spare cowl from the US. Hmmm. Its a bit rum buying models here but then having to get parts from the US. Tis usually the case with Great Planes Ian, Distributor Ripmax don't carry spares. It's down to me as I wanted a new cowl to cut for my electric version (not that there's much to cut). Ordered from Tower Hobbies and it came in about 3 weeks. Phil, it's certainly a model that doesn't hang about, especially in calm weather! Glad it's getting better. Not sure where you are coming from there: I would expect a distributor to carry spares or at least provide an expeditious service to obtain them....Ripmax over to you! No, you're right Jon, I just meant the need for the item was driven be me that's all. No, as you say, they should stock spares, not sure they ever have when it comes to GP though. Anyway, perhaps Hobbico's European expansion plans will change things at some point soon. I'm a bit late to the party, but perhaps using flaperons on finals would be an option to slow down the landing speed. The Sebart PC-21 uses this option to great effect. I was out flying mine this morning I love flying it. Are all sizes of Revolver discontinued now? Nowhere seems to stock them anymore which is a shame as its a nice looking plane. Tower hobbies have then in stock.